Whenever someone mentions the term “branded content,” my mind still drifts back to the original inspiration for my love of the technique: BMW’s The Hire. The 2001 series consisted of eight online episodes, each featuring Clive Owen as “The Driver” – a mysterious man who fully commits to completing his assigned mission at all costs, taking viewers along for the ride. The films were directed by notable Hollywood pros like Ang Lee, Guy Ritchie, and Alejandro Iñárritu; they oozed style, sophistication, and Hollywood star power; and each told a compelling story of action and intrigue. But, more importantly from a content marketing perspective, each episode spoke volumes about the excitement and luxury of the BMW driving experience – without overtly mentioning anything about the brand or the vehicles themselves. A lot has changed in digital marketing since BMW released The Hire; but the content approach it leveraged still holds plenty of power and possibility for businesses that want to capture audience attention and showcase their brand’s values without coming off as pitchy and promotional. In fact, with the technique’s influence growing over the years, we may have reached the point where branded content is the best vehicle marketers have for bridging the gap between initial awareness and ongoing affinity. As definitions go, it’s a good start; but it doesn’t really get to the heart of what sets efforts like BMW’s The Hire apart from other forms of content marketing, let alone why 74.5% of communications professionals say they rely on branded content in their campaigns or why 67% project that their and/or their clients’ spending on branded content will increase over the next 12 months, according to a USC Annenberg survey. They take an immersive, sensory-driven approach to storytelling: Branded content typically leverages multimedia formats like audio and video, which can enable deeper topical conversations and more emotionally resonant experiences than text and/or static images alone. They build connections through mutual interests and shared values, not sales goals: Because these content pieces are often focused on establishing thought leadership, raising awareness, and generating positive brand perceptions, they are more likely to be viewed as worthy of the audience’s trust and attention as compared to more product- and pitch-driven formats like digital ads. They make the experience entertaining, valuable, and memorable for viewers: Branded content campaigns excel when it comes to capturing audience interest, but they also are well-suited to contributing to lower-funnel goals. In fact, a recent study by Turner Ignite and Realeyes found they make viewers more likely to consider the featured brand when it comes time to make a purchase (compared to traditional 30-second ads). Their potential for cross-channel distribution capabilities enables on-the-go engagement: It’s easy for brands to publish branded content campaigns across multiple social networks, owned media properties, and other external websites. And, because they are primarily audio- and video-driven, these efforts are well-suited for mobile consumption. They present opportunities to collaborate with other high-profile brands: Co-producing stories with other businesses that share your values and interests makes it easier to gain much-needed traction among your partner’s established audience. Ideally, branded content campaigns create marketing experiences virtually indiscernible from what the audience might seek from their favorite media/ entertainment personalities and properties – including film studios, TV networks, and streaming media services. For instance, as CMI founder Joe Pulizzi pointed out years ago, the LEGO Movie entertained mass audiences and earned millions in revenue as a traditional feature film; but it also performed strongly as a marketing vehicle by winning the hearts and minds of a new generation of prospective LEGO consumers. As another example, not only has Jerry Seinfeld’s online interview series, Comedians in Cars Getting Coffee, been capturing audience attention and critical praise since 2012, the branded content partnership (the production is fully underwritten by Acura) has earned three Primetime Emmy Award nominations and won three Producers Guild of America awards for Outstanding Digital Series. Of course, not all branded campaigns are created alike in terms of their quality, transparency, or ability to inspire consumers to engage and interact. And when brands don’t have the right strategy, protocols, or expectations to achieve success, the results can turn out to be more harmful than helpful (as was the case in 2013 for The Atlantic). What makes for an engaging, emotionally resonant branded content campaign that can further your brand objectives without subjecting your audience to blatant promotions, poorly timed placements, and empty platitudes? Look at some artfully crafted examples that struck the right balance between powerful positioning and subtle persuasion en route to attracting an audience. Growing a younger customer base is crucial to any financial service company’s future success. But few banks give off youthful vibes. When BMO Harris Bank (BMOHB) wanted to increase consideration among millennials beginning their journey to financial independence, it went for the unexpected. The bank partnered with humor-focused content agency Onion Labs and Resolution Media to develop a series of videos that promotes its (fictional) mobile banking app capabilities. The video parodies the features millennials seem to like in other popular apps – photo filters (that make faces look like ATMs), couch surfing (in a bank vault), and the opportunity to swipe right and left on potential dates (based on how attractive their checking accounts appear). This content was served across both The Onion’s owned properties and BMOHB’s social sites to complement and amplify reach, and it ultimately drove users to download the real BMO Harris Bank mobile app. According to Resolution Media, the effort resulted in a record-breaking brand lift (a big win for a campaign aimed at driving awareness) and paved the way for BMOHB to “own” comedy within the financial services space – earning a 2018 Content Marketing Award for Best Branded Content. War Child UK – #EscapeRobot by Raw London from Raw London on Vimeo. Humor is a sure crowd-pleaser, but it isn’t the only way to capitalize on branded content’s power. In fact, branded content campaigns can also communicate positions on societal issues that are anything but a laughing matter. For example, children’s charity War Child UK used a branded content campaign to change the conversation around the mental health and well-being of children affected by war. A thought-provoking, video-led branded content campaign took aim at the hearts of 18- to 40-year-old professionals who are aware of the residual effects of global conflict (and, thus, likely to feel motivated to help). The film also supported the release of the charity’s new report on the subject, Reclaiming Dreams. The lead video #EscapeRobot takes viewers on a journey that poignantly illustrates the scale of mental health and psychosocial support urgently needed to help children recover from war-related traumas they may have experienced. With just £8,000 (about $10,500) media spend, the video achieved 2 million views, driving huge engagement and traffic to the campaign’s landing page, where visitors could explore additional details on War Child UK’s charitable efforts and opportunities to get involved. Nulon is an independent, family-owned, Australian motor oil brand founded in 1980. In contrast, its competitors – like Shell, Castrol, Valvoline – are global giants with massive marketing budgets and over 100 years of earned brand affinity. To help level the playing field, Nulon set out to produce five branded content films that capture the excitement shared by those who love to tinker under the hood and customize their cars to test the limits of the road. With the help of Edge Agency, the Born This Way mini-series became such a brand-building – and sales-driving – force among mechanically inclined gearheads that the company kept the momentum going and extended the campaign indefinitely. To date, Nulon relies solely on these videos, SEO, and in-store POS for all its marketing needs. Autodesk’s AutoCAD computer-aided design (CAD) software is used by millions of architects and mechanical engineers. For its Original. AutoCAD. campaign, the company aimed to drive subscriptions by profiling creative entrepreneurs who produce groundbreaking ideas, while highlighting the role its software plays in producing their pioneering projects. From a talented designer of custom IoT guitars to a self-proclaimed “chefitect” – an architect-turned-chef attempting to create universally understood recipes through CAD drawings – the campaign’s three distinct microsites – Original. AutoCAD., Original. Projects, and Original. People – showcased the customer stories, innovative inventions, and transformational ideas made possible by AutoCAD. Another innovation-focused branded content effort – and 2018 Content Marketing Awards finalist – comes from the Entrepreneur’s Organization (EO) – a global, peer-to-peer networking association dedicated to helping the entrepreneur community achieve greater business success. EO is not widely known in the regions it serves so the organization set out to raise its visibility with the help of Muse Content Group. To prepare for the campaign, EO’s Central U.S. chapter invited its members to enter its “Truth Booth” – an experiential on-location studio – take a shot of “truth serum” (tequila option available), and candidly answer revealing questions about their personal experiences as business leaders and innovators. 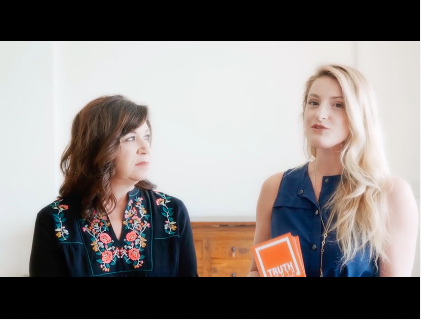 The resulting series of raw and authentic videos speaks to the heart of what it takes to succeed in roles where there’s no established path to follow, while also helping the organization bolster its ranks. According to EO, the series earned over 400,000 impressions and 5,500 clicks in the first five months, which brought in 55 qualified leads and increased paid membership dues by more than six times the cost of the paid ad spend. In addition, the campaign has been recognized on a global scale with many inquiries from EO regions around the world requesting to use the Truth Booth videos in their chapter marketing initiatives. Heineken teamed with National Geographic on a branded content partnership that showcases the best of what both brands have to offer. A Wild Lager Story details the history behind the beer brand’s new H41 Wild Lager and includes a three-minute documentary that follows biologist Diego Libkind and Heineken’s global master brewer Willem van Waesberghe as they explore the untamed reaches of Patagonia in search of a rare yeast, then return home to create a new category of beer. 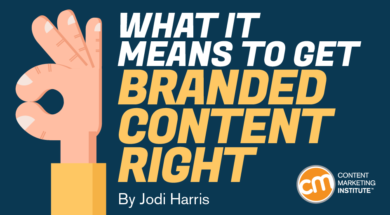 Are you experimenting with branded content in 2019? These examples show how great branded content campaigns can help you build rapport with a new target audience, expand your business’s creative horizons, or simply entertain and engage the experience-loving masses. We’d love to hear about your plans for leveraging the technique and, for those already giving it a try, how it’s been working for you. Have a branded content project or other content marketing initiative you think is worthy of celebrating? Entries are now being accepted for the 2019 Content Marketing Awards. You can learn more and enter here.